Choose a justice of the peace wedding for a simple affair. Holding your wedding ceremony at a justice of the peace is an inexpensive, simple option for couples who prefer not to deal with the costly and stressful process of planning a traditional wedding. A civil ceremony also is an alternative for couples who come from different faiths or cultural backgrounds and would rather avoid family-related drama as to whose house of worship to choose. If finances are an issue, couples can hold a larger wedding celebration down the road. Visit your local courthouse or town hall to obtain a marriage license; regulations vary depending on your state and city. Bring your significant other, valid identification and a witness, along with a check, credit card or cash. 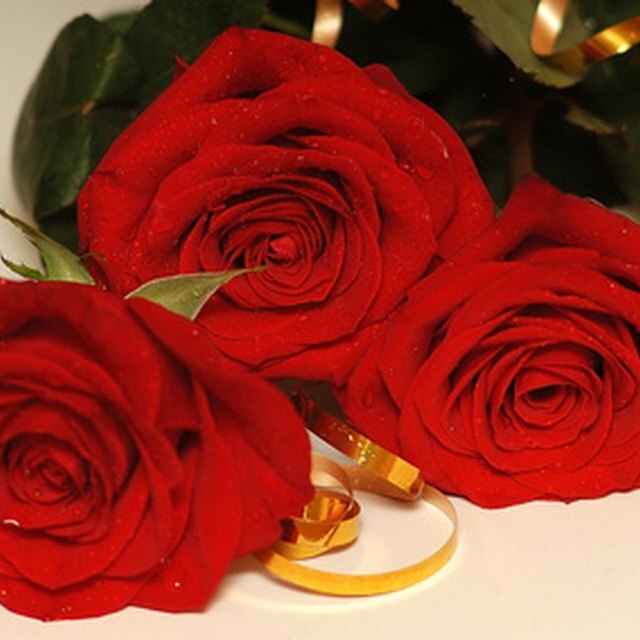 Present divorce papers if one or both of you is divorced. Contact a justice of the peace in your town once your marriage license is in hand. Arrange when and where your ceremony will take place; most likely it will be at the courthouse or city hall. Ask if guests are permitted to attend the ceremony. Dress your best for your wedding day; couples may choose any type of attire for a justice of the peace ceremony, but a traditional wedding gown and tux or suit is perfectly acceptable. Bring your marriage license on the wedding day along with identification, a witness and any guests you invited. Recite your vows and take part in the ceremony. 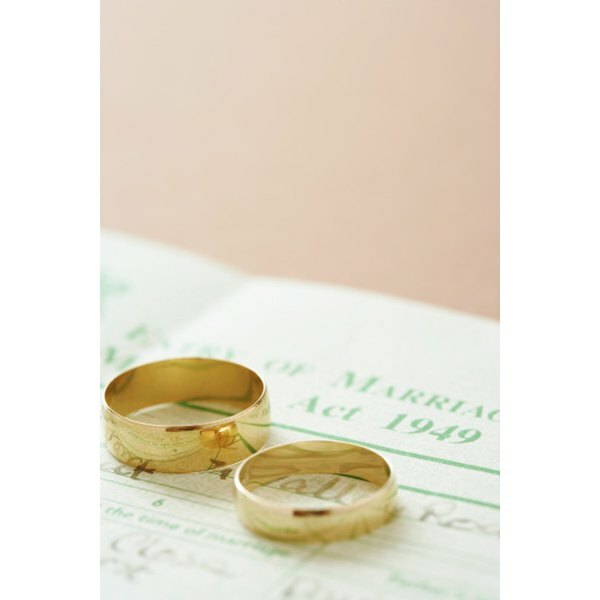 Once the ceremony is over, you, your spouse and witness will need to sign the official marriage certificate. The justice of the peace will file your certificate. It will take a few weeks to process. Go to the location where your marriage license was issued and pick up your marriage certificate. You'll need to show identification and pay for the certificate. Be prepared for family and friends to be disappointed or hurt that you aren't having a big wedding party for everyone to attend. Remind them that a small civil ceremony works best for you and your partner. Apply several weeks in advance to ensure you have a marriage license in time for the ceremony. It takes a few days to process a marriage license, depending on locality. Wedding Channel: What are the Basics of a Civil Ceremony?